Nathan Fillion. . Wallpaper and background images in the Nathan Fillion club tagged: nathan fillion actor 2012. 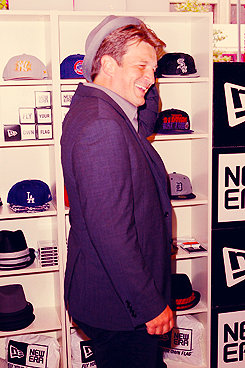 This Nathan Fillion photo might contain 전기 냉장고 and 냉장고.